I have been such a lazy arse about cooking lately, and am generally feeling uninspired when it comes to anything in the kitchen. Lots of Upper Crust Pizza and cereal for the hubs and I. 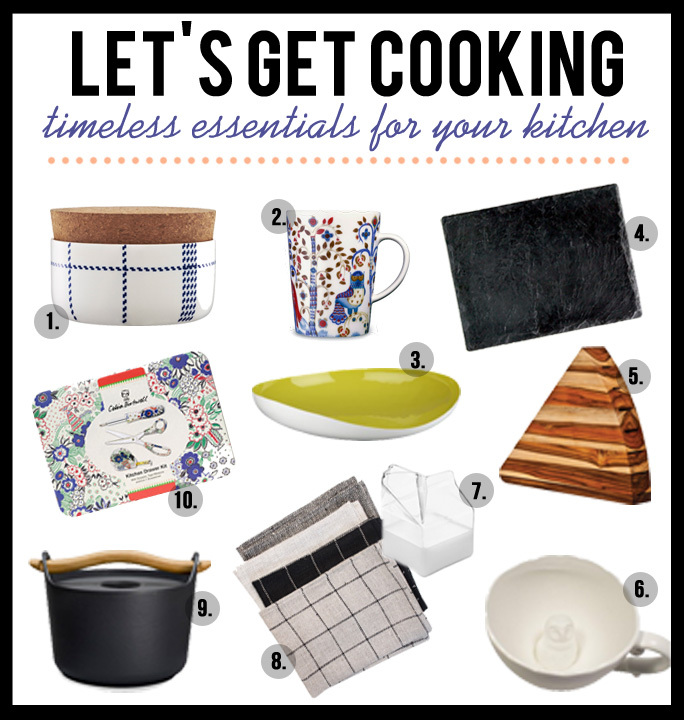 In the spirit of seizing back my wifely duties, I put together this lovely collection of kitchen essentials that will last through the ages. Oh I love cooking tips so much.